The higher education landscape is rapidly changing. Despite the general acceptance of the concept of enrollment management as an effective vehicle for understanding admissions, financial aid and retention, few schools have successfully brought together the three departments in an effective manner. Freed-Hardeman University has adopted a new organizational structure in consultation with representatives of The Dysart Group, Inc. to ensure that the enrollment management plan is a truly collaborative effort. The University has created a leadership team that includes the Director of Admission, The Director of Financial Aid and the Chief Retention Officer and these individuals have worked together in making all of the decision regarding enrollment management. Such collaboration allows for examining the impact of recruitment strategies and tactics on retention. Financial aid policies and procedures can be adapted to enable the school to meet recruitment and retention objectives. This structure is still unique in the industry. While many institutions include the three divisions under the leadership of a Vice President for Enrollment, it is unusual to have a structure with three equal partners. Early outcomes for Fall 2013 are encouraging. Applications for admission are up by 9%. The number of students accepted for admission grew by 21%. The number of newly enrolled students increased by 11%. 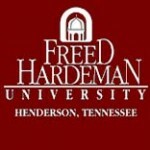 This new structure has positioned Freed-Hardeman University for continued growth into the future. President, The Dysart Group, Inc. The Dysart Group, Inc. is a higher education consulting firm specializing in admissions, financial aid and retention at colleges and universities. The company has collaborated with more than 160 colleges and universities throughout the United States and achieved extraordinary outcomes.